Retired MSG William "Bill" Edward Beckham, Jr. 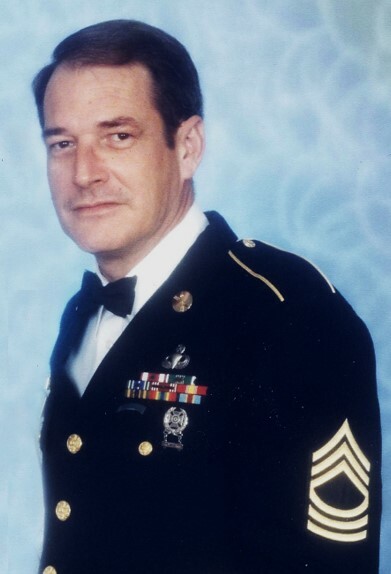 Retired MSG William "Bill" Edward Beckham, Jr., 64, of Hope Mills passed away on Tuesday, November 6, 2018 at 5:55 am at Kitty Askins Hospice Center in Greensboro surrounded by his wife and children. He was born in Greenwood, S.C. in 1954 to the late William Edward Beckham, Sr. and Helen Doris Brown Beckham. Bill graduated from Greenwood HS Greenwood, S.C. in 1973. He joined the Army in 1975, in 1977 he graduated from the US Army Special Forces qualification course and was assigned to 7th Group at Fort Bragg. In 1983, he was assigned to Cabin Beach (1st BN, 1st Special Forces Group Airborne) which stationed him at Torii Station in Okinawa, Japan. He retired from the US Army Special Operations Command in 1997. After serving his country, Bill started his next journey in becoming a Long Distance Hauler traveling all over the continental United States. He hung up his keys in 2013 due to his growing health issues. 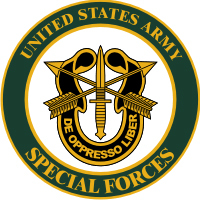 Bill was a decade member of Special Forces Association, active in Chapter 1-18. He was diagnosed with cancer and fought a brave battle for almost five years. Bill was preceded in death by his parents, William and Doris Beckham, Sr. and a sister, Jimmie Beckham Alexander. Left to cherish his memory is his loving wife of 43 years, Teresa Minor Beckham of the home; his daughter, Melissa Tennille Beckham (Won Chang) of Fayetteville; his son, William Edward Beckham, III of Hope Mills; his beloved grandson, Garen Bruce Beckham-Chang; his sisters, Jessie Raines (Bill) of Richmond, Va. and Eula Beckham Fuller of Greenwood, S.C.; and special "children by heart", SFC Brian Jones (Daniela), their child, Malikai of Maryland and Donna Graves Bean (David) of California, their children, Austin, Christopher, Shelby, Tessa, Sacha, Nikolas. A funeral service will be held at 12 pm (Noon) Tuesday, November 13, 2018 in JFK Chapel on Ft Bragg with burial to follow at 2 pm at Sandhills State Veterans Cemetery. The family will receive friends from 7 pm to 9 pm Monday, November 12, 2018 in Rogers and Breece Funeral Home.